We could go into full preachy mode about how mud and bird droppings left on your car’s paintwork can damage it so you should wash it regularly. We’ll spare you all. 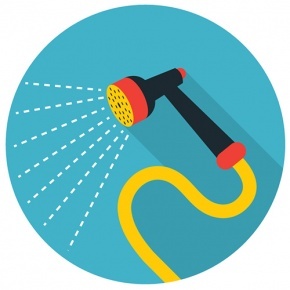 Instead, we present the alternative: our guide to pressure washing your car. Pressure washing is the smart person’s way to achieve a sparkling set of wheels and it’s easy too, promise. 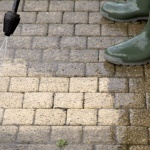 Just have a read of this article so you don’t fall into the common pressure washing pitfalls. Check the wash brush you’re using is clean, in good condition and suited to car cleaning. You don’t want to use an old brush that’s picked up gritty particles or one with bristles that are too hard, unless scratched paint is your jam. Get yourself a multitasking pressure washer that can distribute detergent as well as water. Who said appliances can’t multitask? Think about where you park. You can’t make your pressure washer cord longer but you can drive closer to the plug socket. Logic. Use the right detergent. 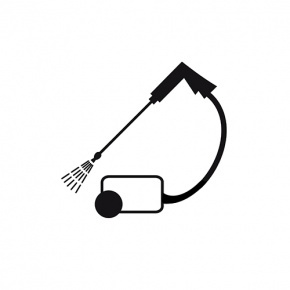 You’ll need one that’s suited to your pressure washer as well as car washing in general. Change up the detergent you use if you’re not seeing much in the way of results from the one you’re currently using. Wear closed toe shoes in case you accidentally spray your feet. That’s right, break out the Wellington boots. Check all the windows and doors of your car are fully closed before you begin. Note: before. 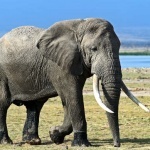 There’s no use closing the stable door after the horse has bolted. Rinse the brushes and sponges you’re using regularly and thoroughly. You don’t want to drag grit your brush has picked up across your paintwork. Serious car washers only: polish your car with a microfiber cloth once it’s clean for that magnificent showroom shine. Don’t forget your car’s hubcaps. Give them a once over too. 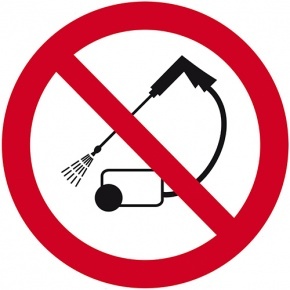 Don’t spray with the pressure washer nozzle too close as doing so could cause damage. If in doubt follow the manufacturer’s guidelines. Don’t use any heavy duty pressure washer settings designed for stripping paint… for obvious reasons! 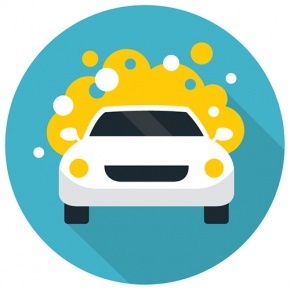 Don’t pressure wash the engine or any parts under the hood. Electrics and water don’t mix. 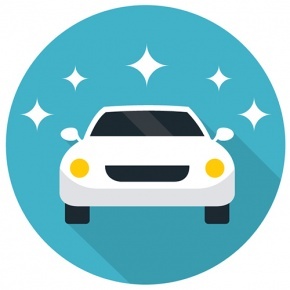 Don’t wash your car on gravel or small pebble surfaces if possible. Stones could bounce up and chip your car’s paint. 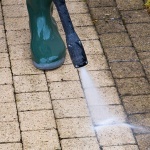 Don’t pressure wash near something you mind getting wet. In other words, take your phone out of your pocket before you get started. Don’t work against gravity; you’re not going to win. Start at the roof of your car and wash downwards. Don’t forget to dilute your detergents. They’re not designed to be used neat. Finally, don’t pressure wash your sibling/child/significant other. Yes, it’s hilarious to point the hose their way, but you could actually hurt them. So your car is gleaming and now you’re wondering what else to do with your pressure washer (because let’s face it, it’s really fun to spray stuff). Here’s a little idea you’ve most likely never considered… enjoy!